This page is owned and administrated by André Dahlqvist from Sweden. before it is forgotten, so remember Sharing is Caring! So help share real information to future collectors! Otherwise fake information will win. The "Smurf mee, smurf BP" campaign in Holland in december 1977. 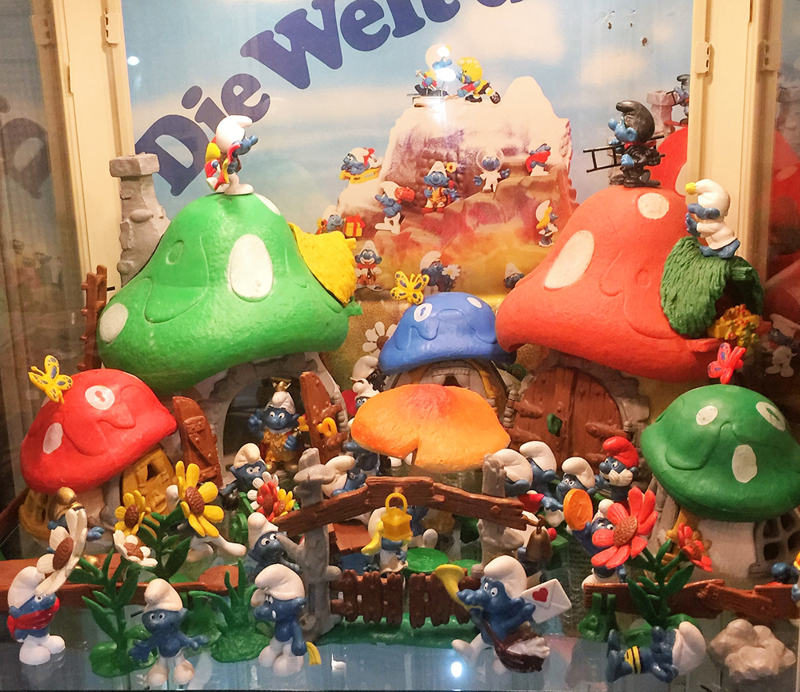 Plaagsmurf are the dutch names on the smurfs on the bottom shelf. 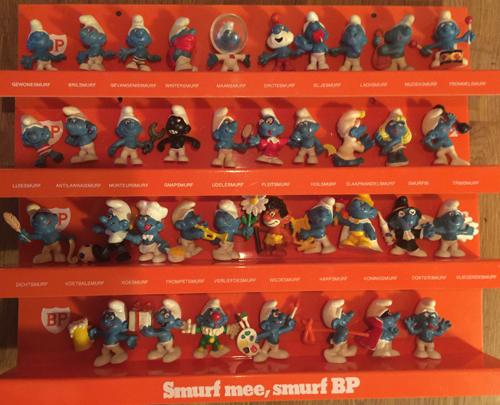 Those were all the 37 smurf you could get in Holland then. only seen as a member), visit the site and check it out. years. The SCCI letters are possible to read on Maureens site. pictures and also their websites, in cases when they have their own collectorssite. Accessories originally not sold with Smurfs. In catalogues called testversions.